You want to investigate membrane related events and need a free floating membrane? The traditional vertical approach is of limited use because you need primarily optical information and employ microscopy? You still need access to both sides of the membrane to change media and apply effectors? 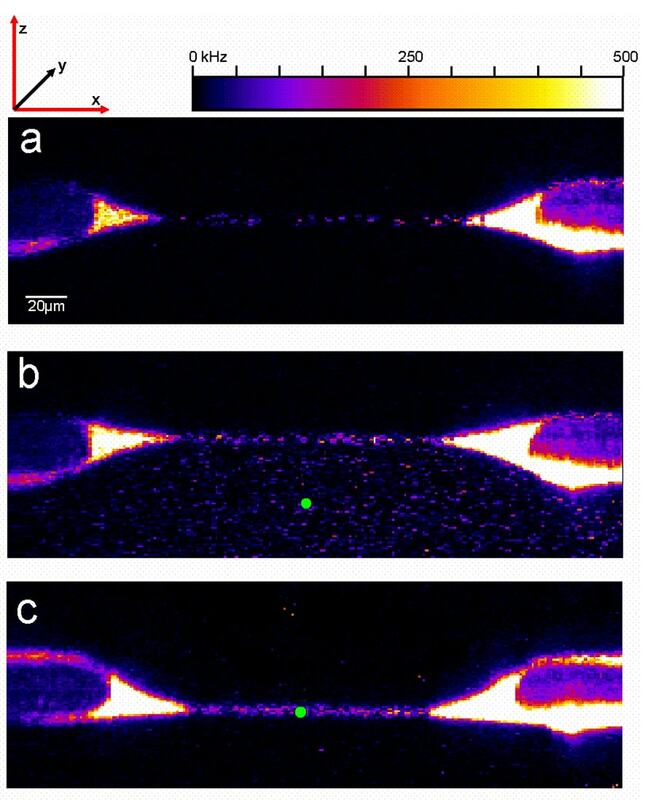 The good news is: Ionovation have tilted the traditional bilayer to the horizontal position. 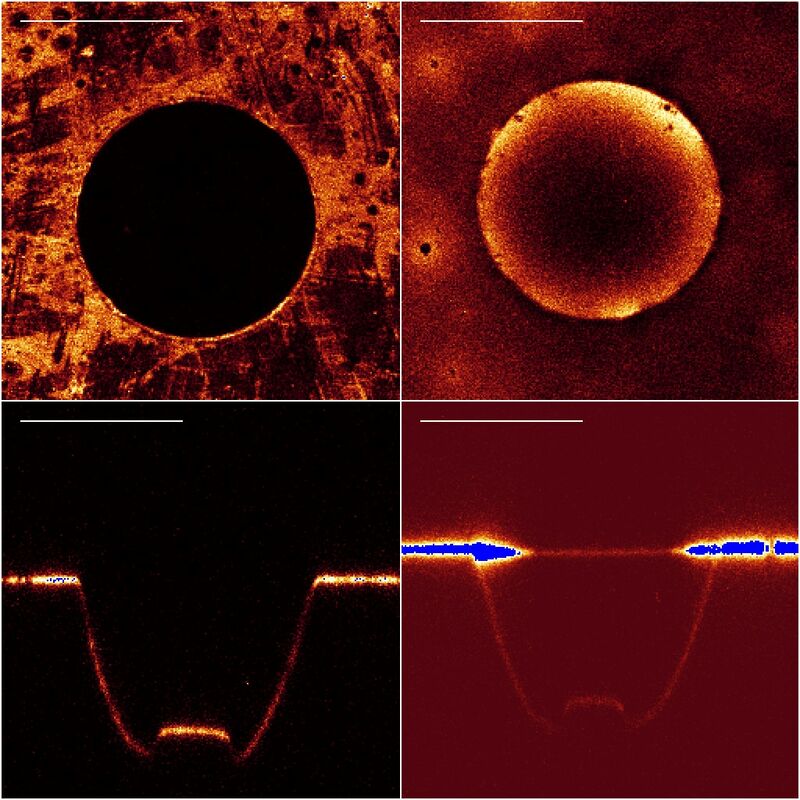 The Ionovation Explorer offers the automated generation of free floating lipid bilayers and access to any standard inverted microscope approach, ranging from simple light microscopy to single molecule spectroscopy techniques like FCS, FIDA, FRET etc.. 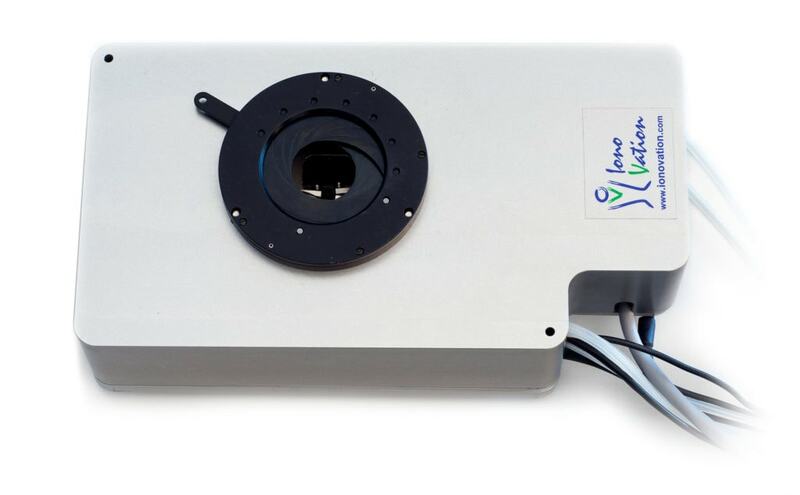 The Ionovation Explorer is a microcope add-on, it is easy to use and allows the combined use of high resolution microscopy and single molecule spectroscopy with state-of- the-art electrophysiology. 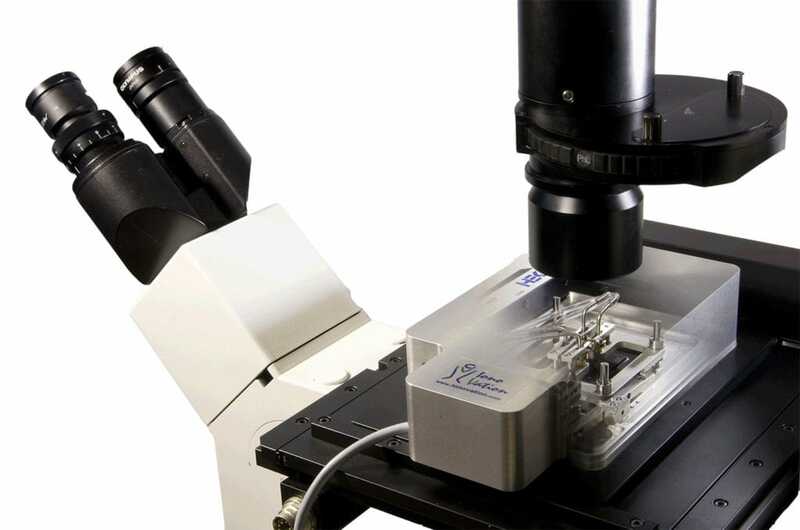 The compact design fits on any inverted microscope and yet offers the automated membrane generation, perfusion of both sides, and an option for temperature control and monitoring.